Intensely hydrates overnight. 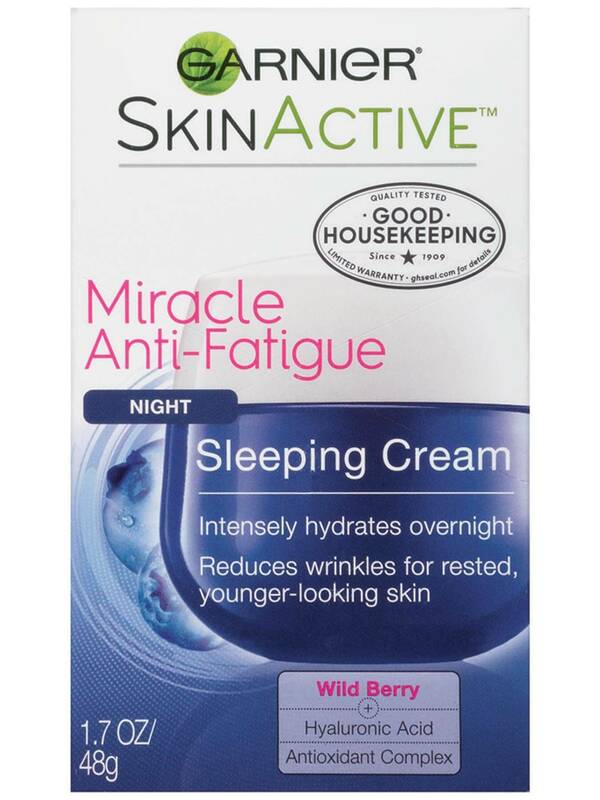 Reduces wrinkles for rested, younger-looking skin. Put dullness to bed and wake up to rested, younger-looking skin. 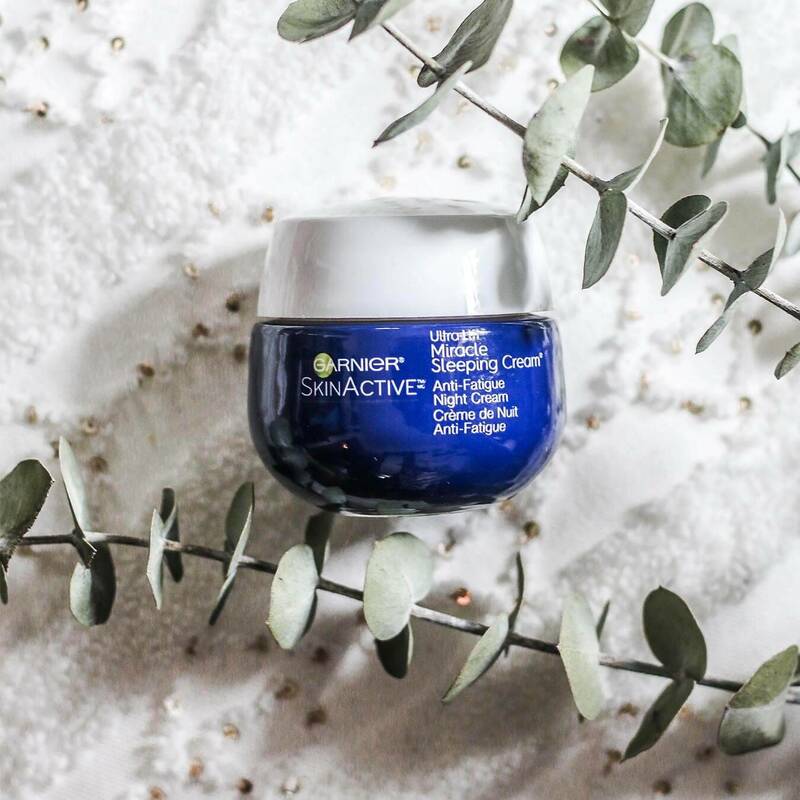 This refreshing formula combines the deeply hydrating power of a mask with the light feel of a lotion. Infused with Lavender Essential Oil, Hyaluronic & Hydroxy Acids, it renews, firms and even reduces the appearance of wrinkles. Now go ahead and recharge skin while you sleep! 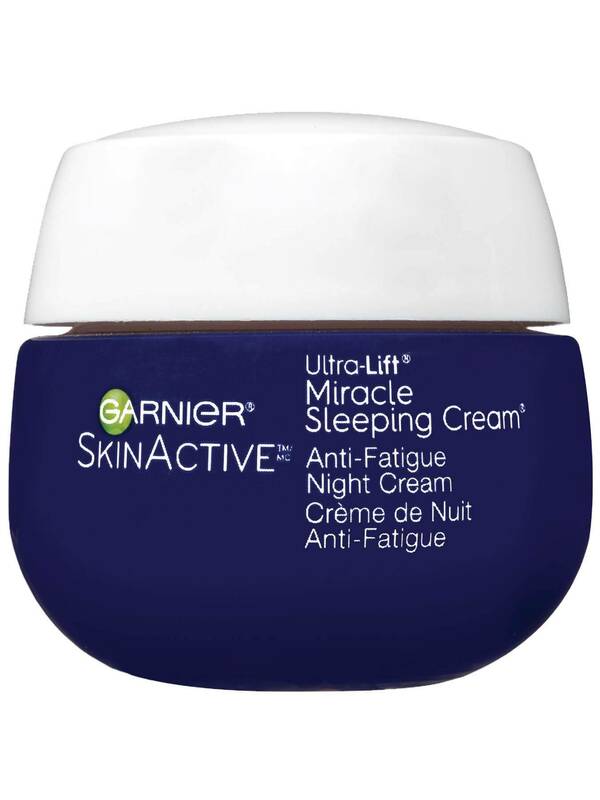 Use nightly with Garnier SkinActive Miracle Anti-Fatigue Eye Gel-Cream. AQUA/WATER, DIMETHICONE, GLYCERIN, SIMMONDSIA CHINENSIS SEED OIL/JOJOBA SEED OIL, HYDROGENATED CASTOR OIL DIMER DILINOLEATE, ROPANEDIOL, ALCOHOL DENAT., CAPRYLIC/CAPRIC TRIGLYCERIDE, CETYL ALCOHOL, CETYL HYDROXYETHYLCELLULOSE, OCTYLDODECANOL, ADENOSINE,ALBIZIA JULIBRISSIN BARK EXTRACT, BENZYL ALCOHOL, BENZYL SALICYLATE, CAPRYLOYL SALICYLIC ACID, CAPRYLYL GLYCOL, CI 16035/RED 40, CI 19140/YELLOW 5, CITRONELLOL, DARUTOSIDE, DISODIUM EDTA, DISODIUM PHOSPHATE, GERANIOL, LAVANDULA HYBRIDA OIL, LIMONEN, LINALOOL, METHYLPARABEN, POLOXAMER 338, POLYSORBATE 60, RUSCUS ACULEATUS EXTRACT/RUSCUS ACULEATUS ROOT EXTRACT, SILICA, SODIUM ACETATE, SODIUM HYALURONATE, SODIUM NITRATE, XANTHAN GUM, PARFUM/FRAGRANCE. Rated 5 out of 5 by Thegirlwholikeschocolate from Very good night cream This night cream is thick, & very moisturizing. It smells good, it made my face glowy, & I looked more rested. It's sad that Garnier is discontinuing this. When you guys make another night cream please don't put alcohol in it. Thank you. Rated 5 out of 5 by 1mothing from Great but elusive? Love this but EXTREMELY hard to find? Is it still in production? Rated 1 out of 5 by dmebner87 from Very disappointed I do not like this at all. My face feels drier than before I started using it and it stings a little after I put it on. I don't like throwing stuff away, but I can continue using it. Rated 5 out of 5 by Gibby from Look younger overnight! I've been using this for years now. Love the feel of the cream, not greasy. I like how I look in the AM.I can't find it anywhere now. Used to get it at Target. Rated 5 out of 5 by Sue 123 from Hard to find, but worth the search... Good Housekeeping magazine recommends this product, so I thought I would give it a try. It is fantastic, but very hard to find. I have bought up all the jars I could find locally. I think it is the most effective moisturizer out there. It feels and smells great and works well on combination skin. 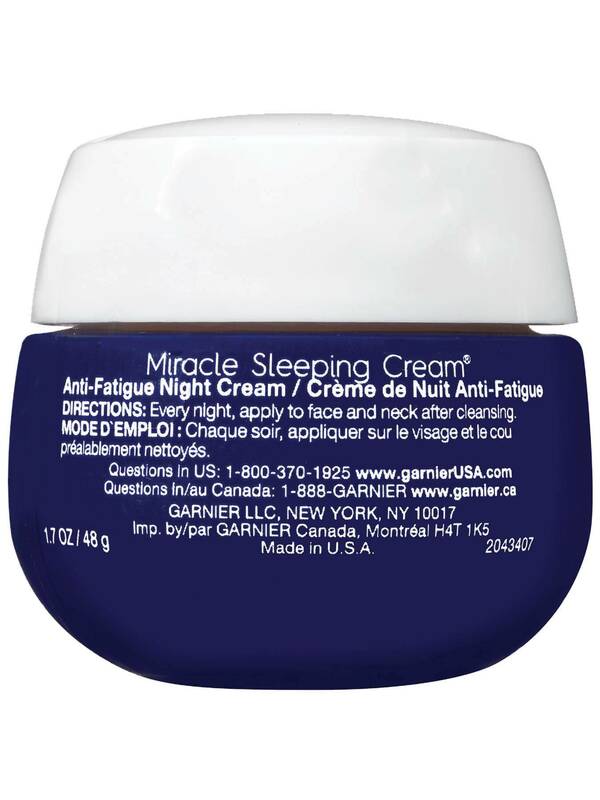 Rated 5 out of 5 by Aguas from Great cream Been using this for 2 years now, it works great. I used to look so tired upon waking up but since using this less sleep or not I feel n look refreshed! Thank you garnet! Rated 5 out of 5 by Erilum from Really works I’m 38 and went through a really rough time when my dad passed. My skin went into freak out mode. I seemed to age over night. I bought this and have been using it for two weeks. First it’s not to heavy for my combo skin, second I really do wake up looking refreshed, third my skin looks more even and not blotchy like it had been, fourth my skin looks and feels more supple and my fine lines less noticeable. I’m pretty impressed for the price. Now I just bought the eye cream and I’m not seeing quite as much as the night cream. Rated 2 out of 5 by Skymotorsun from Worked Great at first !! Bought this a CVS & it really seemed to help my wrinkles & fine lines for a while.Bought the 2nd time & the texture didn't seem to be the same.